A TBI changes you. Literally and figuratively. My personality is different. My energy levels and sleep patterns are foreign to me. The confused woman in the kitchen staring at the oven is someone I am just now starting to understand. 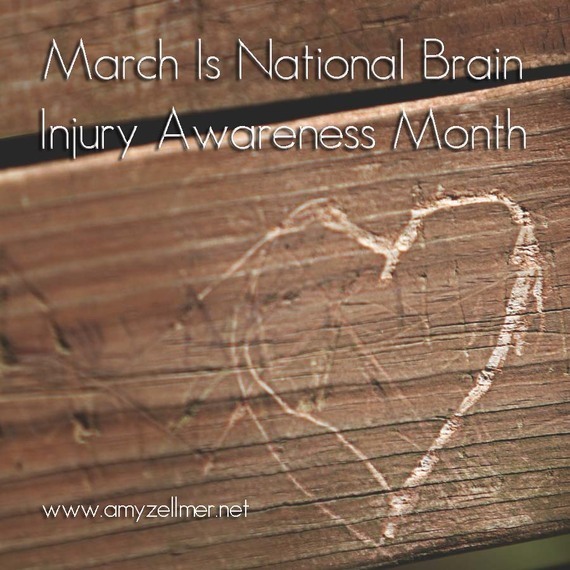 I find it strangely interesting that this time last year, as I was enduring the beginning of my life with a TBI, I had no idea that March was National Brain Injury Awareness Month. This year I feel compelled to shout it from the rooftops (or the computer screen)! Over the next few weeks, I intend to share with you stories and journeys of those living with a traumatic brain injury (TBI) or caring for a loved one who is recovering from one. My hope is to educate those who aren't familiar with TBI, and to help other TBI-ers understand that they are not alone, and that their symptoms are not just "in their head" (pun intended). Traumatic brain injury (TBI) is the leading cause of death and disability in children and adults from ages 1 to 44. Brain injuries are most often caused by motor vehicle crashes, sports injuries, or simple falls on the playground, at work or in the home. Every year, approximately 52,000 deaths occur from traumatic brain injury. An estimated 1.5 million head injuries occur every year in the United States emergency rooms. An estimated 1.6 million to 3.8 million sports-related TBIs occur each year. At least 5.3 million Americans, 2 percent of the U.S. population, currently live with disabilities resulting from TBI. Moderate & severe head injury (respectively) is associated with a 2.3 and 4.5 times increased risk of Alzheimer's disease. Males are about twice as likely as females to experience a TBI. Exposures to blasts are a leading cause of TBI among active duty military personnel in war zones. Veterans' advocates believe that between 10 and 20 percent of Iraq veterans, or 150,000 and 300,000 service members have some level of TBI. 30 percent of soldiers admitted to Walter Reed Army Medical Center have been diagnosed as having had a TBI. The number of people with TBI who are not seen in an emergency department or who receive no care is unknown. There are three levels of traumatic brain injuries: mild, moderate and severe. Don't let these names fool you. A mild TBI is just as serious as a moderate or severe one. The names refer to loss of consciousness and mental alteration as a result of the trauma. In my case, we think I was unconscious for only about a minute or so, therefore classifying me as "mild". But like I said, don't let the name fool you. The resulting damage can be the same for all three -- a TBI does not discriminate. A TBI changes you. Literally and figuratively. My personality is different. My energy levels and sleep patterns are foreign to me. The confused woman in the kitchen staring at the oven is someone I am just now starting to understand. The woman who has to write a Post-it note for every single task on her to-do list is no longer the multi-tasker she once was. The woman who used to type at 100 words per minute with zero mistakes now has to take her time and correct many keystroke errors as she goes because her brain gets confused with letters. I am finally coming to terms with this "new me." It has been just over a year since I fell on the ice, landing full force on my skull. In the beginning I was angry. I was confused. I was in a lot of pain, both physically and emotionally. People didn't understand. Didn't believe me. Couldn't understand my hidden injuries. I didn't have a strong support system, but what I did have was determination! Life with an "invisible" injury or illness can be a real challenge. Since I posted my last blog, "Life With a Traumatic Brain Injury," on The Huffington Post last month, I have made an entirely new circle of friends. I created a group on Facebook, affectionately named "The TBI Tribe." This is a safe place where we can hang out, talk, vent frustrations, share in each other's successes, and more importantly, have a place where we all feel like we fit in. I was craving an environment where others understood my struggles and didn't pass judgement. I have found exactly that in this tribe! The brain injury has affected me in a variety of ways. Emotionally, I am fragile but working hard to toughen my spirit. I am much more introspective (I don't know if this is from the actual brain injury or the fact I now have more time to be introspective). Things are just harder for me than most people. I have to actually think seriously about where I am stepping. I define my life in two ways: before and after the stroke. It has certainly delivered me a tough blow. I have been advised not to have children. I am scared that I am predisposed to have something else happen to me, and I am sorry that I don't find sweetness in the sweet things in life because I am more bitter than I want to be. But call me crazy... I am glad to be alive. 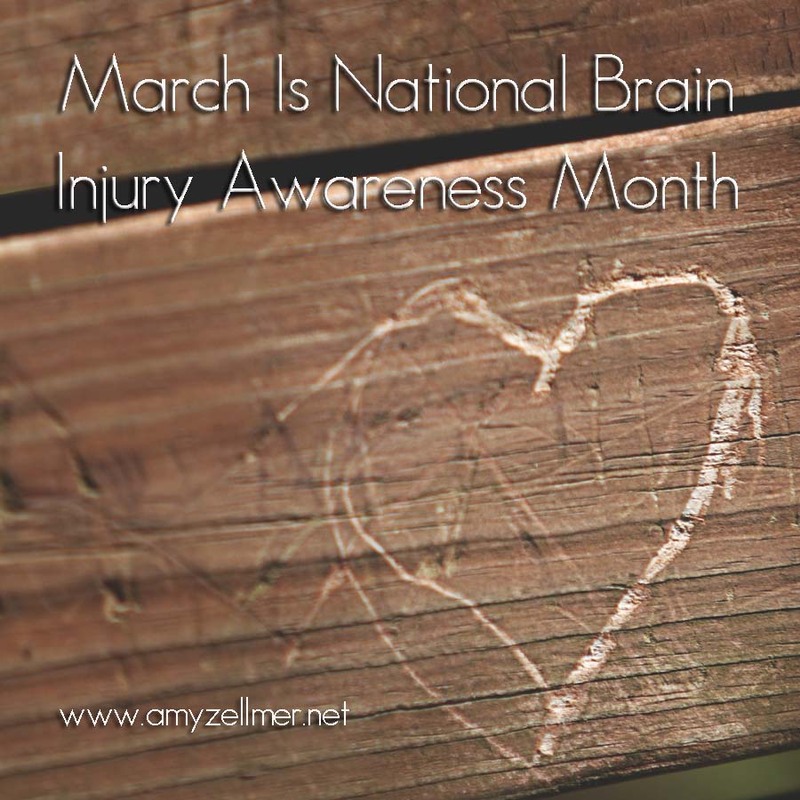 I hope that you will join me this month as I share with you more stories and continue to bring awareness to the world about TBI.